Time to meet another amazing Kid Blog Star of the Week, and this time you’ve got two for the price of one – say hello to Drew & Katelyn who are StoryTwins. Drew and Katelyn are 11 year old twin bloggers on a mission to spend more time reading &and writing; and to inspire other kids to do the same. When they’re not reading, writing or blogging, they are both very sporty and love playing lacrosse, tennis and basketball. Drew is two minutes older than Katelyn and together they have lots of fun which you can read about on their blog. You can also find the StoryTwins on Facebook. This was very inspiring I know me and Olivia will start spending more time with our siblings, thanks for sharing! I find you guys really interesting and I love that you too go on so well and blog about everything use do !This inspires children to go and be more active and social instead of playing on technology all day! I also would like to thank you for sharing all these interesting stories with the world and I’m sure everybody else is happy reading this blog aswell! 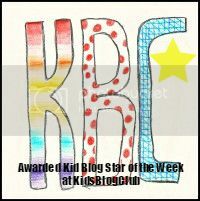 Inspiring and wonderful to hear that children are bloggers too!